When it comes to hosting your cannabis software or cannabis POS data, some prefer the accessibility of the cloud server, while others prefer the physical control of a local server. Increased Security – Due to the restricted access of the physical machine, a local server is much more difficult for a would-be cyber attacker to steal or corrupt your data. Having a dedicated local server provides exceptionally high security that can be valuable for businesses of any size. Predictable Demand – Did you know that cloud servers occasionally go offline for maintenance? That’s right, and the timing is usually out of your control. A local server lets you perform maintenance on your time. Manage Your Own Server – Any idea what it’s like to spend 10+ years’ operating a grey-area business and suddenly you’re told you have to track and trace your entire cannabis inventory to be reported to the government? Our Implementation Specialist, Matthew Ledbetter, will tell you first-hand that it’s a trying experience. Having physical control of your server provides added peace of mind for the extra cautious operator who still doesn’t trust anyone but themselves with their cannabis software or cannabis POS inventory data. We demonstrate a perfect track record of data security for both our business and 100% of our customers. Cost-Effective – Having a local server can sometimes mean dedicated IT support (depending on the size of your business), which not all cannabis businesses have. By utilizing a cloud server, the majority of IT and maintenance needs are covered in your monthly costs. Scalable – We’re in cannabis, so everyone is growing in some shape or form. Scaling with a local server requires adding infrastructure and potential maintenance costs. Increasing server space on the cloud is as simple as clicking a mouse. Add two, three, or ten locations to your cloud server without spending hours shopping for hardware and spending money on costly tech support/setup. Remote Access – Access your cloud server database anywhere with an internet connection. With a local server you have to physically access the hardware to access the data within it, hence the added security we previously mentioned. When it comes down to it, it’s all about what’s right for your business. No two businesses are exactly alike, so take a look at your current and future needs before you decide that you want to switch from local to the cloud, or vice versa. Check out this great resource from Rackspace that helps answer some of the trickier questions so you can decide which is right for you and your business. Interested in learning more about BioTrackTHC’s new AWS Cloud Hosting option? Contact our Sales Team to learn more. 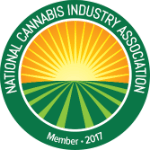 Want to learn more about BioTrackTHC’s industry-leading cannabis track and trace software or cannabis POS? We’re one of the only cannabis software providers in the industry to offer a full-vertical tracking solution!